It's New Year's Eve. In my quiet retiree Franco-American neighborhood someone feels compelled to set fireworks aflame. Boom. Healing circle yesterday, we shared Reiki and other modalities. We had just started to work on D when there was a sudden bright flash of light. We all saw it: jumped and gasped. Birches are bent over like wet grass. Tree tops touch the ground. Ice tubes litter my driveway, fallen from the power lines. I like to rake the snow off my roofs. It's productive, strenuous, and satisfying. Sometimes ice crashes down dramatically. Sometimes I need snowshoes to get around the house. It's all ice in Maine right now. I like to buy fresh free-range local eggs. Saw 5 accidents yesterday on the turnpike. I was returning home from NYC. Saw an SUV on it's roof, in the median. Others looked like snow-slides into a ditch. I kept to 45 mph, kept it steady, avoiding abrupt movements and braking. Today was detoured around an accident. Head-on. It snowed all afternoon and roads were slushy or icy. Please drive responsibly and safely, everyone. Best, most favorite part of Christmas is jammie time. That time with family when you hang out in jammies and talk about those things closest to your heart. started in Maine with freezing rain and speed limit of 45 on the turnpike. You could skate on the driveway, paved with a good half inch of ice. When I brought my car out of the garage to pack it with luggage and Christmas presents, rain hit it and froze, making a big car Popsicle. I drove slowly along the street and slammed on the brakes to see. The 4-wheel drive kicked in and I didn't skid. I hit the turnpike. Blasting heat kept ice from forming on the windshield. Very few cars on the road. I kept it to 45 and watched other numbers: the outside temperature, nicely displayed on the dash, and my expected time of arrival (ETA) on the guided personal system (GPS). It was 29 degrees and my ETA 4 1/2 hours. An hour later, an hour south, the temp rose to 32 and I put the pedal to the metal; 65 mph. It started to rain harder. There were more cars on the road. I stopped for coffee. Stopped at a gift store in New Hampshire. Around Boston the roads were full and we went 65-70 bumper to bumper in pouring rain. I could see the car in front of me, and the next car, but not much else. It was raining hard and cars threw up sheets of water. There were lots of trucks: behemoths of metal that could crush a car like a slap on a gnat. Sometimes the road would open up a little and someone would sail past me, going 80 or 90. Sometimes cars darted in and around others like a cat on stairs. Sometimes it rained a little less. The temp rose to 48. 5 1/2 hours of freezing rain, rain, traffic: miles and miles; past Worcester, Boston, and Hartford; my GPS got me to my destination: my aunt's house in Connecticut. I made it. My cousins arrived from New York. We nibbled on snacks, admired my aunt's Christmas tree, opened presents, and went out for Thai and sushi. We had avocado and cucumber sushi, appetizers and curry. Then we hit the road for New York City, my cousins and I, leaving my car in my aunt's driveway. It was dark and drizzly. A passenger, I gazed at Christmas lights as we sped past big tidy houses. It took us half an hour to creep past an accident. We got onto a parkway: no trucks! We told stories and laughed all the way into the city, 2 hours. Back home 100,000 are without power from the ice storm. The weather was supposed to turn warm and melt all the ice, but instead the freezing rain continued and it got colder. Now my town in coated in a thick layer of ice. Trees are bent and branches hang low, weighted and sorrowful. Branches crack, break, and drop; trees tip over from the weight. They smash and crash on cars and houses. When they land on power lines they darken neighborhoods. People are cold, lighting candles, trying to keep holiday food from spoiling. I'm in New York City. I can see hundreds of apartment windows and blue sky above. We're in a nice neighborhood, I saw that last night as we circled the block several times in search of a parking spot. There are shops and restaurants down the block. We're going to stroll down there after breakfast. It's Christmas Eve day and I'm in New York City with my cousins. T's aura was layers of white sparkly linen or cloud. Layers and layers. Beneath all the layers was a steady gold light. There were angels all around. It was, at first. I explored. It was easy to get around, and I got around in a new black VW Jetta. Sun was my plan. Hot sun on a beach with a stack of murder mysteries. A little more summer. So it didn't turn out like that. It was 2 days of sun with cold breezes, temps in high 60s and 2 days of overcast with temps in mid 70s. I walked on the beach for an hour every morning. I explored. Went to bird and dolphin sanctuaries. Those are places for wounded birds and dolphins. Went out to eat once daily: Mexican mostly. Italian once. Snacks of yoghurt and grapefruit. Drank hotel room coffee: bland but effective. Beaches were good, despite clouds and fog. Inland exploration was sunnier but frightening. Found gorgeous botanical park and place of old timey houses with people dressed in old timey clothes. But the alligator warning signs were off-putting. Kept encountering these signs. Loved the flowers, plants, old buildings, old machinery, old lifestyle. But those gator signs. I kept thinking the gator would be right beside the sign. Shocking realization that they could be anywhere. Heightened alligator alert. That was exhausting. Perhaps better at the beach, despite fog. For the first time in 6 years I didn't check and respond to my work emails daily. That's probably good. The ocean was right outside my balcony door, palm trees too: also good. Taking a vacation: experts say that is good. So I did it. I took a vacation. Day 1: awesome. 2: OK. 3: maybe repeat #1? 4: really ready to go home. I learned: I like parks and museums. I like nature, soul, culture, people, enlightenment, sun, and music. I don't like to feel like my life is at risk from alligators. I learned that it is good to get away, change it up, and do scary stuff. I like to drive. Will I go back? Maybe somewhere. I like high dry plateaus, sun, people, Reiki, ocean. - feel so lucky. Am having a wonderful semester with best kind of students. They are motivated, committed to learning, compassionate, thoughtful, supportive of each other, inquisitive, focused, balanced, articulate, and kind. - feel so lucky. Have had the best jobs: mom, nurse, and teacher. Having lunch at an Italian restaurant in Florida. Everyone is speaking Italian. No English; I hear no English. I had eggplant parmesan, which was delish, of course, but why do they always bread and deep fry? It's so good grilled or sauteed. Eggplant is good, dense and chewy. The salad was so so. Iceberg lettuce and tired tomatoes. Prices great, service terrible. Tiramisu best ever. Italy in Florida. Am at breakfast. Little local place.Owners are Brits. The BBC is here, doing a travel story. so planned, plotted, and parsed I find my holiday to be serendipitous, impulsive, and ephemeral. So far south is better than north. All the southern adventures have been satisfying; the northern ones not. Example: this morning I went north to the Aquarium. Bought a ticket. Took a bus to the dolphin thing, but the dolphin thing was a movie exhibit. Some kid movie, never heard of it and why would I, I don't watch movies. Did get a nice trolley ride across the harbor into Clearwater and an interesting ramble from the driver. So the "Church" of Scientology owns over 69% of Clearwater. Lots of tidy buildings. Didn't that "Church" start as a joke? As a way to make money? An irony? Yeah, pretty sure it did. Well, that's America for you. No dolphins at the end of the tour, just props from the movie of which I had not heard. 5 min later I'm back on the trolley, back to the Aquarium. Once there I saw a few manta rays and 3 injured dolphins. 5 min later I'm headed back south. Stopped at the other Mexican restaurant. Yesterday was all cheesy tomato soup bean mush at a fancy place. Professional wait-staff and blasting Mex music. Today was wild teens and make it right there in front of you burritos, etc. I bought a big bag of dried chipotle peppers to bring home, $2.99. Had a delish tofu burrito. Stopped at a nature reserve. It was so quiet. I walked on a boardwalk. Geckos scurried. It was swampy. Went to a beach and hung there all afternoon. Watched pelicans soar, plop, gather, take off, and repeat. Do they sleep? Dolphins don't, according to a woman at the Aquarium this morning. She has a bachelor's degree in marine biology, and dolphins don't sleep. They would die if they slept; they have to breathe. They have 2 sides to their brains (don't we all?) and switch back and forth (don't we all?). Anyway. That beach was relatively deserted. The north beach is wall to wall people. Chairs, tents, and umbrellas are neatly arranged. You may rent a space and sit elbow to elbow with your new best temporary friends. There are boat rides, parasailing, drinks, and snacks. Tomorrow I'm going south. The teen Mex place, the bird sanctuary, and the deserted beach. I will be spontaneous, I will explore, I will enjoy wild nature. Apricot to burnt-orange. The sun dropped into the ocean behind the rustling palm trees. The waves kept coming, making that soothing shushing noise. I sat on the narrow balcony and watched the colors. Watched the sea birds. Listened to the kids in the pool. A little chilly in my flip flops and summer dress, I threw on a fleece jacket. Watched the colors fade into black. Venus appeared. Went to a bird sanctuary. How do pelicans get injured? I watched them soar today, as I sat on the beach. They glide inches over the water with strength and grace. they go all over the bay, way faster than the boats. They slide down onto the surface and bob there, sometimes solo, sometimes in groups. At the sanctuary, they can't fly. They waddle, clack their long pinky-orange beaks, and flap. No gliding, no sliding. They must wonder why they can't do that anymore. They eat, bathe, flap to dry, then nap. Their wings are broken. How does that happen? I saw a baby, born yesterday, on Thanksgiving. Mom was sitting on a stick nest with two big eggs and a purplish squirming baby. I saw white pelicans, wing span 9 feet. I saw owls, blue jays, gulls, and vultures. All injured, all being cared for by dedicated and compassionate volunteers. Last night I was convinced the hotel was burning down. I jumped out of bed, dressed and packed. Heart thumping. Listened for sirens. Nothing. Looked out in the hall, sniffed. Nothing. Wait a minute. Maybe someone was burning popcorn. Maybe it was heater I turned on 2 minutes before the panic. Yeah, it was the heater. On the plane I sat beside a handsome young man in a white shirt. Italian. A pilot for the airlines. "So if it's turbulent, and you're ok, we're ok, right?" I asked him. "Right!" His wife was a forensic scientist for the LA police. The LA in California, not our LA Maine. "Ever see a UFO?" I asked him. He was so kind; smiled at all my questions even though he probably hears them every day. "My mother-in-law is convinced that I have but I won't tell her. Hey, if I saw one, everyone on the plane would see it too. No, I have not seen one." No kids, but they're trying. She's Italian too, so obviously gorgeous and fashionable in addition to being smart and functional. So when it got turbulent, "Oh, the pilot said it would be gassy," he said, it got embarrassing. I guess gassy is a pilot term for dropping 100 feet like a roller coaster. Then bumping like a bus on a dirt road in spring. Embarrassing because I felt sweat dripping down my face. My hands dripped too. I grabbed for the barf bag. "Are you Ok?" he asked solicitously. Obviously not, and he kept talking to me gently, asking me innocuous questions, and generally trying to distract me from the barf bag. I didn't hurl, but it was close. At the car rental place they quoted me $40 over my deal. I questioned and they knocked it back. This was after a 45 minute wait. I thought the customers might mutiny. "No cars," they told us. How can there be no cars when we reserved them months ago? "You might have to sleep here," they told us. I hate driving on bridges. I had to drive on a long bridge, a causeway they called it. It was dark, couldn't tell I was on a bridge, so I was fine. I had to drive through a rotary. I hate rotaries. People always honk at me in rotaries. What's up with that? I had the GPS, but still. The first time through the rotary I ended up in a marina and had to go back and start again. Second time found some nice restaurants. Third time I managed to exit in the right place and actually found my hotel. It was a 13 hour trip with much anxiety and near-hurling, so it was good to get here. I took a shower and sat on the narrow balcony. Drank water. I could hear ocean waves and see a dim outline of palm trees. The burning thing, fear of fire, didn't sleep well. Got up to pee a lot. Tried to conserve water, so didn't flush. In the morning I flushed. It stuck. A clog. omg, how embarrassing. I used the ice bucket to dump water into the toilet, hoping it would flush. I filled it to the brim: no luck. I walked to a convenience store and bought bottles of drinking water. $2 for 6 big bottles. Wow, $3 a bottle at the airport. What a rip, those airport prices. More ice bucket action, no result. Left a big tip for the chambermaid and set off exploring. When I got back, hours later, the toilet was still clogged. Well, this is awkward. More ice bucket dumpage. No success. Hit the beach with sunglasses, new coverup, and good book. Hours later got back to room. Toilet fixed, lovely! Thank you wonderful hotel people! I really need to chill. I need to stop worrying. I guess that's the point of a vacation. Everyone agreed with me last night at the Reiki event: it's not OK to tell a person that guilt caused his/her cancer. Especially when you just met this person. Especially when I'm providing a brief explanation of Reiki and encouraging people with cancer to try it. Especially when Reiki practitioners are committed to supporting each person's own individual cancer journey. Even though you read it in a Louise Hay book, and we all respect Louise Hay; it's not Ok.
Whew. Little rant there. Thanks for reading and putting up with me. Yes, life can change in an instant. Treasure those moments of love and connection. Tell loved ones how much you love them. So glad my dear friend B is OK after 3 car accidents last night. Blizzard conditions driving home from a concert. So glad you're OK, sorry your car isn't. Am sure H will be fine, but keep an eye on him. Love you, dear friend. And other concerning news, health issues for a dear relative. My thoughts and prayers are with you. Rest and be well. Love you. Tune in to joy. Dance, hug, cry, laugh, and love. You know how sometimes people protest wind power towers? Say they're unsightly, etc... you know? Well, driving and thinking, what about regular power lines? How ugly are those? Way. And cell phone towers: everywhere. Ugly. So stick some wind blades on the cell towers, on the power lines. Stick solar panels up there while you're at it. Natural power. Leave the oil in the ground. Stop fracking and coal: pollution and destruction. Turn to wind and sun. It was summer. Hot. The door was open, the setting sunlight shone on her through the open door. It was my time. I felt it. Walked in to the salon and had the best haircut in 5 years. Everyone said so. I hate getting my hair cut; but she was fast, cheap, and good. She had pink hair and we talked about when she took care of her grandmother as she died. I probably reminded her of her grandmother. We talked about angels. I found a fab hair person. This week, with much giddy anticipation I made an appointment for a trim. Finally the day was here, here! Haircut! I arrived several minutes early. OK, 20 minutes early. Settled into the leopard print banquette with my smartphone and relaxed: read newspaper, emails, and spiritual journal. Checked the time every 10 minutes, glanced at my stylist as she worked on the head of a platinum blonde. Almost done? Surely they were almost done. Wash, cut, pile on top, dry, fluff, straighten, smooth, omg how long is this going to take? Kept reading, kept glancing. It's my time! Are you done? Almost done? It's my turn! Minutes ticked by. I got restless. 5 minutes, 10, 11. My hands went to my keys, to my coat. I put on my coat. The owner looked around, "Oh." "I'll come another time," I said. "Want to make another appointment right now?" "I'll call," I said. "Maybe," I thought, and left. is here. The sun starts to set around 4, and it's dark at 4:30. A fleece isn't enough: one needs a winter jacket, puffy. Gloves and a scarf. It snowed last weekend. We got a dusting, others got more. Really need to go pick those last beets, and roast them. The kale will be OK. I can pick it all winter. Amazing stuff. Snowshoes, skiis, snowmobiles. Ice skating, ice fishing, icicles. Winter wind, storms, light. Shovels, snowplows, salt. Every fall I hope winter will forget to come. was beautiful. Gold streaks of light behind gold leaves. Is it more light or different light? Sun was rising, so I did too, this morning. Way early for work, so I did yoga with Rodney Yee DVD. Was getting dark as I drove home. Venus lit my way. When religious leaders object to Reiki... is it a power struggle? Do religious leaders fear people accessing spirit directly? Do we need intermediaries to access spirit? Big churches are powerful: financially and politically. Do they fear losing that power? They work hard to keep their power, and amass more. They say we must go through a priest or minister to access God. I'm leaving out rabbis, temples, mullahs, and mosques here- because I don't know of objections to Reiki from those people and places. Does Reiki threaten bishops' power? People find they don't need churches or church leaders to tune in to spirit, to practice, to walk the path of enlightenment. Perhaps that is the problem right there. A power struggle for the hearts, minds, and wallets of the people. Reiki: self-care, philosophical foundation, and spiritual path. Oh, and sometimes we share. Any demons in Reiki? No, we do not summon demons. Reiki is love and light. Reiki is passive. We don't summon anything. We simply tune in to Reiki, tell our egos to take a nap, and place our hands. Reiki just is. 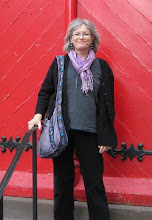 As Pamela Miles (talk in Portland, Maine, July 2013) said, "Hands on: Reiki. Hands off: no Reiki." This is a beautifully simple description of Reiki. It works for me on many levels. One, I don't need to dance, chant, or engage in complex rituals prior to placing my hands. I simply take a moment to focus, then place my hands. Then Reiki happens. I don't have to wave my arms, screw up my face, shudder in a pseudo-seizure, or whisper cryptic riddles. Then hands off: done. I don't explain the session to the client; the client explains it to me. I'm there for my client: to witness and support my client's experience. It's simple. Hands on: Reiki. Hands off: no Reiki. 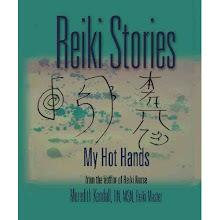 She also said (2006, Reiki: A comprehensive guide), that Reiki practitioners create and hold a space for Reiki. I like that. I just hold the space, and facilitate the client's ability to access and engage in his/her own healing. Reiki. To me that means love and light. It's my path to spirituality. To me it's about loving and supporting others' journey to health. Reiki student asked me today, "Does Reiki summon demons? Because my co-worker said she couldn't have it. Said her priest told her it summons demons." Well, I"m glad the student asked, instead of wondering and worrying. In case you are wondering and worrying: No. Reiki does not summon demons. As a Reiki practitioner I'm all about love and light. I access my own personal spiritual and religious beliefs when I tune in to Reiki. For me, Reiki is my link to spirit. Sharing Reikii feels like going to church, temple, or mosque. Similar to the ecstasy of climbing a mountain and getting to the top, taking in the view. When I practice Reiki I feel love, connection, and gratitude. Reiki is pure, powerful, and neutral: neither "good" nor "bad." It just is. But my experience of Reiki is all positive. Was teaching a Reiki class recently. One student was already a Level 2. Another student was just diagnosed with a serious illness. The Level 2 Reiki practitioner told the other student to examine her guilt, as that was probably the cause of her illness. What do you think of that? Is it OK to tell someone, at in introductory class, that guilt probably caused her disease? No. How did I handle it? I said each person finds his or her own meaning in life and illness. Now let's talk about light! are useless for viral inflammation or infection. Given to farm animals, and ingested by humans. In our water. best cure for feeling fried, burnt, toast, irritable, lack of joy, discouraged. Earn points for planning, dreaming, looking at pics and websites, assembling outfits, and searching nearby parks and museums. Other cures are: fun, play, and spiritual growth. When are where is your next vacation? Why can't we just turn them positive? Ok, I know I sound totally ignorant here. St Pete, FL. Been there? Worth the trip? Sounds surreal. I hope to be immersed in alternative reality of melting clocks in desolate landscape. Cheery! Reiki keeps me going. Reiki is my inspiration, my faith, my reason to get out of bed in the morning. Well, family and friends too. Definitely family and friends. Love you and you know who you are. Learning about it. Something about transmuting pain and stress into love and serenity. Yesterday was my first day home in 2 weeks. I work a lot. So I had that new vacuum cleaner, still in the box. There were leaves on the lawn, dirty dishes & laundry, and crapola piled up everywhere. Got out, assembled, and used the vacuum cleaner. Oh, wow. I think the old vacuum cleaner was broken far longer than I realized. I kept using it, thinking I was cleaning, but finally noticed the heaps of dust and that the appliance had ooom but no vac. Ok, now dust is gone. House sparkles. Kind of wish my houseguests of last week could see. Only thing, with that new vacuum cleaner: I read the instruction booklet and it says I have to wash my hands after using because there is an abundance of lead on it. Warning: birth defects, etc. That seems wrong, right? Raked leaves and piled them between the garden rows. Washed dishes and laundry, disposed of crapola. Took out trash. Trimmed bushes, mowed the lawn, and transplanted narcissus and chives. Swept the deck. Removed canopy from deck and stored in garage. Thought about sweeping garage: didn't. Moved and arranged rocks. Today I sat in the sun in the summerhouse and read Rolling Stone and Oprah. Cooked and made lunches (and breakfast & suppers) for week. Washed dishes and laundry. Watched the leaves fall. Felt the sun and wind on my skin. Rested. Happy Sunday, dear reader. Try to rest. Take deep breaths and feel the healthy energy of Reiki. Breathe in love and light, breathe out pain and emotion. Rest. Breathe. Relax. Feel your cells spinning with healthy energy. Remember, Reiki doesn't reference an energy system (Read Pamela Miles, 2006, Reiki: A comprehensive guide, NY: Tarcher). Reiki just is. It's inside and outside and all around us. It isn't specific. It's universal. Life force energy. It isn't chakras, that's yoga. Or ley lines; that's cosmology. Meridians are Chinese medicine and acupuncture. When I access Reiki, I don't send it to a chakra. Or down meridians. I just hold the energy and hold the space. So just tune in to Reiki and relax. Heal. Feel the love. 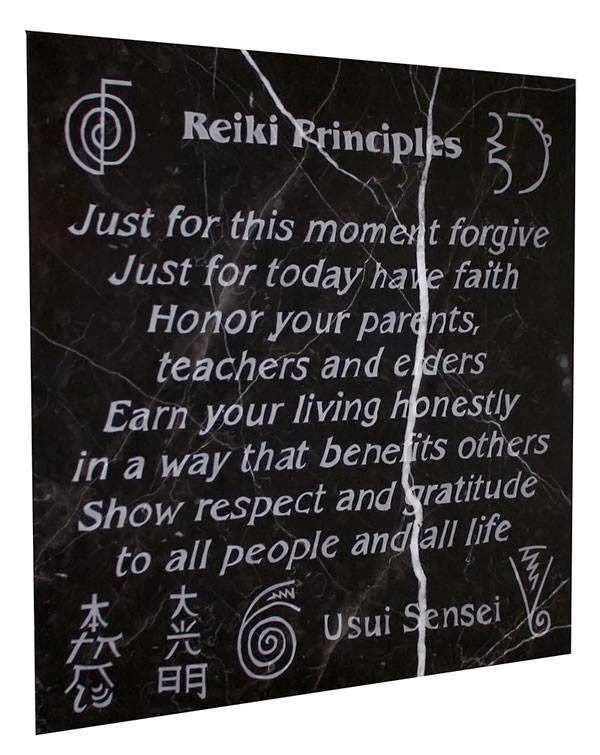 The Reiki principles, like Buddhist tenets, advise us to step back a bit from life. Step back from drama. Keep a distance from anger and worry. Be grateful, work hard, and honor your elders and teachers. Happy birthday to my son. You will be a wonderful, loving father and husband. Hugs to my dear friends. It was a sunny, mild day. There was good coffee, satisfying errands, a phone call with my sweet son, and a lovely day with dear friends. what if you were so ill you didn't know if you would walk again. What if the one thing that motivated you to get better was returning to an October weekend in Maine. What if you had Reiki in the dark, on an October morning, and then walked to your bicycle to get ready for a 20 mile ride. What if. for my life tonight. For family, friends, and freedom. For my fulfilling jobs. My nephew and his girlfriend came to stay. I was so impressed with their sensitivity and intelligence. We laughed a lot. I talked on the phone with my sister for an hour. I'm grateful for my family. I spent the day in a tent with cancer survivors and people who raise money to support them. There was Reiki, massage, yoga, and sound therapy in the tent. I'm so lucky, even though it was cold and overcast and my toes were wet from dew and I was chilled all over. Even though all that, it was a great day. I should have dressed warmer, but I thought it was going to be sunny and warm. We all did. Tomorrow, more of the same. More cancer stories, more bravery, more heart. More love. Oh blog, how I've neglected you. Well it got cold. It was rainy. And I was just working. No fun original thoughts, no adventures. Nothing new in the garden. Plenty of thoughts and adventures coming up this weekend. It's the annual fundraiser. I go to meetings monthly, all year. I'll spend the weekend in a big tent, managing massage therapists and Reiki practitioners, meeting athletes and cancer warriors from all over the country. I promise to write. Sweet Annie, sunflowers. That's what's left in the garden. The blueberry leaves are turned red, burning bush too. Everything ends, changes, shifts, turns into something new. My students need a government web site for research. Carpenter came by to pick up his ladders and a check. Looked up at my sunflowers. "How do you decide when it's a tree or a flower?" he asked. Students have a paper to write. We referred them to an excellent US government website for their research. The paper is due soon. The site is down. Congress. Please pay your bills, get along, talk, reopen. Thank you. Surprisingly warm and sunny after work, another 10 hour day. Quickly did essential home things and then headed to the garden. Ahhh. Embraced by flowers, vines, fruits, and still growing vegies. An edge to the air. A sharp dryness, a chill as the sun set. But I sat in the summerhouse and felt the green. Time to relax, breathe, and reflect. Came home from work and cut a big bunch of flowers, an armful of pink hydrangea, another unknown spike of pink flowers, fragrant Sweet Annie, and yellow daisies. It was a rough week at work. Intense. Lots of human interaction. Mostly pleasant and wonderful, of course, but several encounters with angry and abrasive people. Plus I set mousetraps around the screens where I was drying sunflower seeds and two mice were killed. That was awful. What did I expect? Won't be drying any more seeds: I'll leave that to the professionals. But I was thinking of a mouse-proof seed dryer. I suppose they exist. A wooden cabinet with racks of screens for drying seeds. Or metal trays with small ventilation holes. Anyway. Like I said, a rough week. Now comforted by bountiful beauty and fragrance from the garden. On sharing Reiki with others: I guess I'm kind of a plain Reiki practitioner. Like Pamela Miles said: "Hands on: Reiki. Hands off: no Reiki." 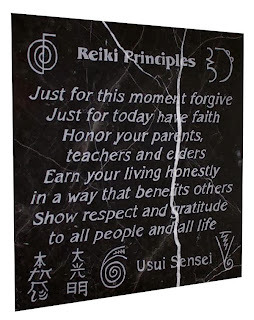 The more I do Reiki, the simpler it is. I don't pant, shake, seize, gesture in the air, dance, rattle, sweep with feathers, talk about chakras, describe my visions, give a psychic reading, grimace, or moan: though I respect and accept those who do. I'm quiet. I keep my eyes open so I can check on my client (Pamela Miles again: "Keep your eyes open: this isn't your own private meditation session. "), and afterwards I listen to my client's interpretation of the session. I support my client as he or she finds meaning in the session. Quiet, gentle, plain. Just plain Reiki is enough for me. Sending Reiki to my distant friends, to my son and his fiance, to my grandchild, to friends and family, to my past and future selves. Reiki hands on, self-Reiki every day. Reiki class, grading persuasive essays, urging students to greater scholarship: read, experience, think, reflect, and write. Reiki at the annual fundraiser. Energy is building. Excitement. Plans are made and changed. Expecting thousands of people from all over the country. Reiki. A way to breathe, be, blossom. Just be Reiki: now, later today, and tomorrow. Went to a Reiki share tonight and did a cool thing. I'll call it the Mist circle method. There were 5 people in our group and we didn't have a table. We had 2 couches, several comfy chairs, a coffee table, and a couple of straight backed chairs. MS invented this cool thing we did. Two people sat facing each other in the straight backed chairs. We cushioned their arms with pillows. They held hands. The other 3 circled around sharing Reiki, holding the sacred space silently. There was a lot of wisdom and experience in that room. A lot of compassion. We all shared Reiki: both as practitioner and recipient. I loved giving, feeling the muscles release, the gentle pulsations of energy. I don't usually want to receive, but tonight I did and it was soothing. Embracing, loving, compassionate. Thank you. It was the Mist Circular Method. You heard it here. the solitude, because lots of social time is coming. A fair, a yoga festival, the big fundraiser, company coming to stay, banquets and parties. Lots of Reiki. Teaching. So I'm noticing quiet, consulting no one, interacting with humans not at all, and listening to cricket... at least for a few hours per day. I watch the sun rise; I watch the sun set. Temperature rises and falls. The grass is dry, then soaked with dew. Soaking up serenity, imbibing introversion, preparing for exuberant extroversion. Drove home in the dark, in the rain. An hour. Driving in the dark feels like a video game to me. Was rainy too. Tunnel focus on the road ahead, the white lines. Don't marvel at the mist, don't become entranced by the water dripping down the rear window, don't space out listening to tunes. Consider hydroplaning, drunks, and deer. Focus. So I asked my guides to protect me, focused on the road, and ignored the windshield wipers and patterns of drips and drops. Just get there. A big slow truck appeared, garnished with many red lights. It went slow, 30 mph, now 45. OK, I'm stuck behind this truck. Usually a speedaholic, I'm curiously OK with this. I leave a respectable distance, I happily go 40, I follow this truck. I feel protected by it's mass and the driver's competence. It's dark and rainy, I'm at the end of a 14 hour workday, I'm making it home safely. Slow but safe. There's no place like this place. After a day of son and sunshine there's this place. P & Q, crickets, sunflowers, and calendula. The green bean leaves are brown and the plants underperforming. Pulled up and composting now. Harvested some beets but oh my I've had enough for now. They are going to a friend. Reading a good book in the summerhouse. Enveloped by trees bushes and flowers. Walking along Commercial St; there's a sidewalk craft fair. jewelry, scarves, and photo prints. Mostly cheap and ordinary. One booth has stones, common beach or river stones, but beautifully wrapped in silver. I stop. The proprietor is an older woman with a round face. She asks me where I'm from. This is a tourist spot. Boat, cruise, and island people pass here: people from all over the world. Oh, what a shame, what's happened to Lewiston, she says. It's like a third world country. I wonder what she means. Then I think of downtown, the tree streets, once homes for Franco-American millworkers and now populated by substance abusing low educated low income people with deficient hygiene and coping skills, dependent on charity and government handouts. Oh, I say to her. Right. The substance abusing low educated low income people with deficient hygiene and coping skills. She looks at me, pokes my arm. No! All those Somalians! I look at her, I back away. What? The Somalis are the best thing to happen to Lewiston in 100 years, I tell her. They're hard working peaceful people bringing new life to our city. She gets in one last poke and starts a rant about police inventing crime to save their jobs. I smile and walk away. a magic woman gave me a green smoothie to drink. Sparks came from her fingers when she handed it to me. all the soldiers put down their weapons. What if they refused to fight. What if they recognized each other as brothers and sisters, connected, all one. Went to the beach for a swim. The pond beach, not the ocean. The air was hot and humid, the sky partly sunny, and the water cold. I was in the water when people started to gather on the beach. Mostly T-shirts and shorts, a few summer dresses. Lots of hot pink and turquoise. Oh, guys with black pants or shorts and shirts, turquoise and hot pink vests. One guy had a turquoise Mohawk. One guy had black ear things, I forget what those are called: gauges? He jumped around laughing and taking pictures. I finished my swim and got back into my beach chair and watched. One woman stood at the end of the line, near the beach. She wore a blue batik summer dress and flip flops. Long dark hair curled down her back. Decided my chair was too close. I moved down the beach to give them more space. Kept watching. The guests shuffled restlessly in the sand. Then a line of women emerged from the dark forest. They wore turquoise summer dresses. Little girls in pink dresses with turquoise belts tossed flower petals. Other people on the beach drew nearer, watching. The bride, white dress, big smile. She joined the groom. Oh, that's the groom? That kid looks about 12. Black pants and vest, white shirt, glasses. Quick ceremony. Clapping and cheering. People on the beach and in kayaks cheered and clapped. Loud music: Lady Gaga's Born This Way. That's a funny song to end a wedding. The couple marched triumphantly back to the forest. OH. The groom was a woman, or a person in transition. The cheering continued. The music got louder. There was a reception rock n roll party under the pines. It started to rain. The sun came out. Drunk guests drifted down to the beach and into the water. Teenage boys love to wrestle in the water. Toddlers splashed. Kayakers floated back to the beach. Seagulls swooped and a shore bird skittered back and forth, into the water and out. Laughter and music from the reception. Long green, small round red, tiny red. Roasted them with garlic. Added to cheese and fresh tomatoes. The long green were mild. Small round had a bite. Tiny red were red hot, gasp for breath and grab a glass of ice water. So glad I'm out of the loop. No TV, not a sports fan, no magazine subscriptions. A little bit of popular culture is like sweet and sour deep fried tofu: just a little is way more than enough. Pronounced: "pow." Not sure of spelling. It meant, "all gone." Common word when I was a waitress in Hawaii, many years ago. As in, "Teriyaki chicken is pau." All gone. No more. There. I spent so much time researching the word and the spelling, and Hawaiian language, and couldn't find it, that I forgot where I was going with this word. Is not over. I drove to the pond after work. Sat in the sun and went swimming. There were seagulls; didn't see loons. The water was cold. The sun lit the sand below the water. There were sand snails and floating pond plants. Just a handful of people. Kayakers, swimmers, and fisherpeople. Yeah, I hate those. I hate confrontation. Would way rather run, avoid, and deny. So what would you do, in this hypothetical situation? Let's just suppose that you live alone in a lovely neighborhood. Surrounded by Franco-American Catholic blue-collar retirees. Lawns and gardens, quiet. Imagine a sweet elderly couple across the street. She's short and forgetful, kind, hair always colored and permed. He's got a pacemaker and a hearing aid. They are in their late 70s, perhaps early 80s. They bring you homemade strawberry fritters. He advises you on home and garden. You give them the key to your house. They remind you of sweet grandparents or parents. Some days he runs over with your mail. Sometimes he snowblows or whacks the weeds on the edges of your lawn. Slowly you notice that he makes suggestive remarks. Huh? The remarks become more and more vulgar. Explicit. Today he stroked your back. All of this makes you cringe, no, inwardly shriek with revulsion. Gag. Overwhelming skunkaroma coming in from outside. I peer outside, turn on outdoor lights, peer again. See no skunk. Neighbor and I discussed this issue earlier today. What to do? Where does it live? Why does it spray when it could wander unmolested? When will the malaroma dissipate? That's the big question. Of course, the really big question is: Is it rabid, hiding under my car, and just waiting to lunge out at my ankle when I leave for work in the morning? That's the really big question. Another question, one I've had for years... Why is this animal necessary to our life here on Earth? What vital niche in our ecosystem does this creature inhabit? Because really; like slugs, haters, and mosquitoes: couldn't we do without? Thank you, UK, for continuing to buy my books. I feel a strong connection to the UK, would love to come back and visit; thank you. Glastonbury, Stonehenge, Avalon, London, castles, Big Ben, cathedrals, authors, museums, tea & scones, green fields and stone walls, mist .... visited as a child, would love to come back. One more day of summer vacation. A day to grieve the freedom of summer: flip flops, seagulls, sun, swimsuits, and sand. A day to take care of business, clean house, and prepare lunches. One more day. I was exhausted last night and went to bed early. 12 hours of reading and sleep. Woke up to songbirds, jumped out of bed, and headed out to climb a little local hill. Texted a friend. "We start tomorrow, right?" "No. Today. Everyone is here. Where are you?" ooops. Home, shower, work clothes, something to eat, jump in the car, head to work. So summer vacation is over and its back to regular job. Love all my jobs. Hello, coworkers, old & new. Students next week. yay! Got a DTAP the other day. TDAP. You know: diptheria, tetanus, something, and pertussis. What's the A again? Anthrax? Angst? Arrogance? Anyway. It hurts. I woke whimpering in the night, desperately Reiki-ing my sore arm. Barely felt the needle, and the serum going in. I feel it now. Vaccinations, immunizations: they're all poison, right? And we do it for the sake of community health, or some such idea. We offer our arms willingly. I had to get this for my job. Condition of employment. It was 30 hours later that it started to ache. I searched all over the house for an NSAID. You know, non-steroidal anti-inflammatory drug. Ibuprofen, naprosyn, etc. I prefer ibuprofen. Couldn't find any. Found some mixed with 25 mg of diphenhydramine (Tylenol PM), but I had to stop taking diphenhydramine because it was giving me BPPV (benign paroxysmal positional vertigo) so I kept looking. Finally found some in my work bag, the one I take to clinicals. Poured some water by the light of the refrigerator and swallowed 3 ibuprofen. Loading dose. Took 2 more this morning. In the light of day I checked the expiration date. Oh, expired 2 years ago. Would I really have to haul myself out of the house to purchase fresh medication? I'd planned on a day of grading and housework. Did the grading, did the housework, had to go shopping anyway for a friend, so picked up some fresh ibuprofen. Wow, does that stuff work great. Either that or the pain was starting to fade anyway. Just a little prick on Thursday, pain on Friday night. Felt heavy, like I couldn't move my arm. When I did it was painful. I'd rate it 2 on a scale of 0-10, but it was enough to wake me. Reiki helps. Two small fresh local organic eggplant. Chop into chunks and saute in oil and fresh spring water. Add 3 cloves diced garlic and small onion, fresh local organic: of course. Saute until tender. Meanwhile, heat chopped tomatoes or tomato sauce in a saucepan. Add non-GMO TVP, big pinch Italian seasoning, and minced hot pepper. Drink a glass on wine on the deck while this cooks at low temp. This might take awhile, 30-45 minutes. Mix two together and simmer for 5 minutes. Ladle into bowls, layering with local organic vegetable-enzyme cheese. If you are an oasis of calm, then you will soothe the people around you. Observe what annoys you, look at what you are supposed to learn, and let it go. Walk away from drama. While exciting, it stimulates toxic cortisol. Let it go. Lighten up! Return to your oasis of calm. A little self-Reiki would be good here. Heal yourself and the people around you. Breathe in the light. Imagine the light as particles. I know, they become waves as we look at them, but imagine them as particles. Imagine that you breathe in particles of light. Imagine that they swirl around your heart, and that your love and joy make the particles even brighter. Release some of this light into the space around you. Decided that what I need before "returning" to work is a whole lot of solitude and quiet. "Returning," because I didn't really leave. Didn't really take the summer off. I worked all summer, but less. Worked maybe 30 hours a week, rather than my usual 60. It was nice. But before going back to the 60 it's solitude, peace, quiet. I weed the garden, pick green beans, note the size of the beets and carrots. I admire the bees in the sunflowers and marvel at the number of calendula: soft soothing orange blooms. Betsy & Dave gave me one plant, now there's a plethora. I went to the pond for a swim and sat at the South End, alone. Alone so I could listen to the waves and the seagulls. Alone to look at the dance of light on water. Alone to feel the sun and breeze. I waded into the water, warm after two hot days, warmer than the breeze; but still cool and refreshing. It's Maine, after all. Home to prepare vegetables from the garden and the Farmer's Market. Eggplant, onions, and garlic in tomato sauce tonight. Cuke and tomato salad last night. Just me is just fine. survived routine annual medical exam with new doctor despite awkward questions (hers), unexpected tears (mine), and gushing (her). She admired my skin tone, the fact that (at my age!) I'm not on any prescribed meds, and I manage to haul my body around every day. She earnestly encouraged a colonoscopy, and even brought her boss in to speak to me re same. He said the top 3 medical interventions are: penicillin, darn what was #2, and the colonoscopy. I nodded seriously. Checked my intuition, "Not needed at this time," and nodded seriously, making eye contact. She admired my blood pressure, asked me about Reiki, Ok had many questions about Reiki, said "You glow!" commended me for my activity level and never scolded me for a single thing. Then the nurse gave me an intramuscular injection, which I didn't even feel, "What size needle was that? I didn't even feel it!" so it was a good interaction (1 inch 25 gauge). I did have White Coat syndrome. My BP is usually 100/70; today was 132/88 ("good!" the doctor said). Pulse usually 70s, today 88. Dreaded the whole thing. But it wasn't that bad. Can't we do away with the handshake? Have you heard of the healthcare high 5? It starts like a regular high five- that palm slapping movement; but at the last moment the hands go to the side. No contact. Perfect for casual greetings. Professional meetings & acquaintances, how about a smile and slight nod of the head. Dear friends and family: big hugs. Everyone else? Let's all do the healthcare high 5. Many people are sensitive to scents these days. Perfumes, colognes, scented lotions, and body washes can irritate sensitive respiratory tissues, trigger asthma attacks, and cause headaches, malaise, and nausea. When coming to class, please do not apply cologne, perfume, body wash, scented lotion, or after shave. A little soap, shampoo, and deodorant: fine. Let's support a healthy community. Thank you. As a teacher, I want to hear my students' voices. I see my role as this. Establish expectations and provide resources. Evaluate progress and offer suggestions. I don't have all the answers, and I can't tell you everything you need to know. Your journey to knowledge & wisdom: that's up to you. I see the your role as this: put in the expected hours. Read, reflect, write. Engage. Experience. Try the offered opportunities. When you write a paper, write your thoughts in your own voice. When you write a paper, read the materials, then explain it to your dog. Or cat. Or plant, a baby. Then explain it to a spouse or friend, someone who will ask questions. Answer the questions. Write your paper. Read it out loud to see if it makes sense. Submit your posts and papers. I love to read your thoughts. Love to see how creative you can be, expressing your thoughts. If it's all recycled, copied & pasted, slapped together....well that's just sad. It's a cardboard shack instead of a finely crafted gem. If you don't put in the time, and you're disappointed with the grades you earn, well... is that my responsibility or yours? So.... commit, work; express yourself. I want to know what you think. Your thoughts are brilliant, unique, golden. What scares you the most? What are the barriers to expressing yourself? Grammar? Vocabulary? Concepts? Format? There is help for all of those things. Seek help. If you want to be a student, and if you want to excel, then you have to put in the effort. Do the work. It's up to you. I'm here for you. I can guide you to the resources you need. Just ask. I'll listen and help. And when you express your own brilliant thoughts, I will be your most enthusiastic supporter. "A" for the day. When I had enough sun, sand, and waves; I moved on. Packed up my chair and bag and trudged up the deep hot sand. Back to my car which was parked in the shade. Got a bottle of water from my cooler and drank the whole cold thing. Drove up the coast a little to a fishing harbor, a touristy lobster place. Picnic tables on a wharf over the water. I got a soft-shelled lobster and 3 small red boiled potatoes. I usually go to the pond. It's 20 minutes away. I like the cold clear water, the pine trees, and the loons. I like to watch the kayakers put in and take out. But it's crowded. People get in my bubble. Yesterday I could smell the rancid sicky sweet oil on the elderly woman to my right. She was bald and wore a turban. Round in the middle, her limbs were thin, baggy, brown, and wrinkled. There were two women beyond her. They had five boys. The oiled woman left and suddenly I could hear one woman. She talked continually. "He said, so she said, and I said, so he said..." The space to my left opened up when the woman with her three pre-teens left. A boy and twin blond girls, "MOM! He spit in my mouth!" I moved into their space as soon as they packed up their 4 chairs, 3 inflatable rings, noodles, cooler, bags, and books. It started to clear out. So then two men and two boys came. They started a game of toss the tennis ball in the water in front of me, shouting loudly and splashing. The ball landed beside me and splattered me with water and sand. I moved again. A couple arrived. Long, thin, and pale. They had a sailboard. The husband was a retired professor from Northwestern, his wife a former student. He'd been sailing for 40 years. I know this because they were shouters. I moved again. That's the pond. The water is nice. Sometimes there are too many people. The ocean. Who can hear anyone? The waves are so loud. Plus the lobster fishing boats. And there was plenty of space. Lots of sand. So why did the 3 slim gorgeous yackety teens settle 3 feet away from me? I moved. Plenty of room. I like it when the nearest people are about the size of a penny. And I can't hear them. I like lots of space. And quiet. So the ocean beach was good. Leaping fish, a porpoise, and lots of sand. Hot sun. Shockingly cold waves. At the ocean today there were a few insects. Mosquitoes in the shady spot I found in the parking lot. Those biting green-headed flies on the beach. Just a few. Easy to shoo them. But don't take a nap. Wasn't sure how long it would take to get there. Sometimes there's traffic. I went to the beach. Got there 45 minutes before the gate opened. Relaxed. Arrived. Walked for an hour: north, then south. Saw 3 thin long silvery pink fish leap from the water. Saw a glistening black fin bob above the water. It swam along the beach for nearly I mile. I watched and walked along. I asked the lifeguards, "What's that?" Two young guys, chilling. OH! They stopped chatting, feet down, and looked. "Probably a seal." "Yeah. Did you bring your binocs?" Ok. But I see a black fin. Do porpoises have black fins? I came home and looked online. Yes, they do. So I waded in as far as I could. I waded with a porpoise! Or a shark. The water was numbingly cold. That's good. Not just cold, but numbingly. So once I went in, I couldn't feel my body, so was able to keep going. The waves slapped. Sprung up in surprise. Smacked and shocked. Felt arctic. I gasped and sucked in air when the water touched a new place on my body. I could see the churned up sand at the base of the wave. The water was so clear. If you just stand, then your feet get sucked down and buried in the waves. Summer vacation is ending soon. Trying to enjoy every moment, even though I'm still working. I worked all summer. OK, vacation is in moments and hours: not weeks or months. So enjoy the moment. Tune in to your senses. Today I sat in my backyard and looked at the flowers: yellow, orange, red, and white. I smelled their sweetness. I listened to the wind. I felt the grass beneath my feet and the tingle of the sun on my skin. I stained the deck, bought a car, and sealed the driveway. Went to a nursing conference in Virginia where I presented my research, visited my sister and niece in Minnesota, and stayed at the beach with my cousin and her daughter from NYC. Hugged my sons and gave them rides to where they wanted to be. The garden grew. Sunflowers are at least 12 feet tall and loaded with bumblebees. Lush and fragrant flowers. Abundance of beets, carrots, green beans, potatoes, cilantro, and kale. Spread 10 bales of hay between the garden rows. Mowed the lawn weekly. Weeded, watered, and wandered. Welcomed bumblebees, hummingbirds, cardinals, and sparrows. Discouraged copper beetles, slugs, cucumber beetles, and blight. Taught 3 courses. Shared Reiki. All CNA students passed state exam. Went to the Atlantic Ocean and Range Pond. Trying to get to the Sandy River. Played with seven Bernese Mountain puppies and children. Saw friends. Hosted visitor from China. Ate lobster and ice cream. Went to Farmer's Markets. Climbed hills, hiked along rivers, walked on the beach. Summer in Maine is great. Summer 2013 is almost over, but summers go on and on. So long, 2013, see you soon, Summer 2014. 12. In my open space: kitchen, office, living/dining room. Six of those windows are obscured by a giant hyacinth. Or hydrangea. I get them confused. It's a big bush with glossy dark green leaves and lush gobs of white flowers. Blue, sometimes, depending on soil conditions. Mine are white. I can't remember when I last... ok, I've never done this. Taking a vacation. Later this year. Just me. On vacation. No family obligations, not a conference, no work. All I do is work. I work 60+ hours a week and have for years (decades). I work full time and extra jobs too. I send money to my sons and I save. I travel for work and for family events like weddings, funerals, and major birthdays. But I never take time off. Even when I travel, I bring my laptop to check work emails and teach online courses. My best friends keep telling me to take a vacation. They say I could get burnt out on work. How can I? I love my jobs! But they are compelling, and I sometimes feel irritable, so.... here goes. I'll give it a try. Vacation: I'm smiling. Those meteors. I diligently hauled myself out to the deck and spread out. A pillow would have been good. Kind of cloudy up there. Stretched out my back, shoulders, and arms. Felt good. Puffy clouds. Thick, but chunky, like dried mud, like old skin. Cool night, slight breeze. So brave. Probably rabid skunks are sensing me right now. Coming closer, drooling, insensate. I could see 2 stars. Watching for meteors.... waiting. Could see 2 stars, no 3, no none. No stars. Cloudy. Hmmm, thinking it's not the best time for seeing meteors. Still, the stretching was good. Are rabid skunks approaching, preparing to lunge at my toes? A good nibble for a rabid skunk, toes and fingertips. Ok, no stars, no meteors, potentially rabid skunks: time to go in. Maybe next year. Pink and gold is cruising into gray and muted blues. Sunset in Maine in August. Quite pleasant on the deck with temp of 73F. Humid, but tolerable. Slight breeze. Clouds slide by imperceptibly. Garden colors dull in the twilight. Gak! I said twilight. And gray (shades of)! gag. So what am I reading? Elly Griffiths' Ruth Galloway series. Shambhala Sun. Sedona Journal of Emergence. Dark is deepening, but I'm still sitting in the light. Stay up late. It's chilly, put on a wool sweater. Check. Check the deck for rabid skunks. None. Check. Lie (lay?) on the deck and do asanas. Release muscles and intestinal vapors. Check. Watch for meteors. I saw one! A white streak across the eastern apex. Saw an airplane too, 3 yellow and 1 blinking red light. That was an airplane, right? More asanas. Then fear of rabid skunks drove me back inside. Also the scrim of clouds which obscured the night sky. I saw one. A Perseid meteor. It was almost too cold to swim. But it wasn't. Once I got in it was refreshing. Had to wait for a hot flash. You know, hot all over and craving a glass of ice water. Perfect for wading into a cold Maine pond. Waded through the golden water out into the dark deep. Breaststroke, sidestroke, dove under and chilled my scalp. Cut off sound. Totally immersed in the heavy cold. Dive to the bottom and surge back up. Just enough breath to surface into the light. Pull in love and light through the top of your head. Imagine it passes through your pineal gland, down to your heart, and out through your hands into your energy field. Keep your energy field about 18 inches from your physical body. Had a psychic reading yesterday. Didn't plan on it, just happened. Rose, the psychic, told me to spritz my office with clary sage and lavender essential oils. Clear and refresh the energies. Went to work today. I knew I had an herbal spritzer in my desk drawer. Pulled it out and looked at the label. Lavender and clary sage. Had a houseguest this week. An acquaintance of my sister, a Chinese student, currently studying in NYC. She came to see Maine. I told her the name of every plant in my garden and took her swimming in a pond. We went to an assisted living facility and spoke with residents. She had a psychic reading. We shopped for locally made lotions and lip balms, gourmet food, and honey. We had soup and bread for lunch. We visited my friends and played with 7 Bernese Mountain puppies, a baby, and a toddler. She toured another garden. We picked blackberries and watched out for berry-loving bears. We watched my friend sew one of her famous hand-crafted purses. We went to Portland and ate lobster Eggs Benedict, loaded with fresh lobster, "pulled out of the bay yesterday." She met my younger son. We walked around the Old Port and Portland wharves. We saw yachts and fishing boats. We shopped. We walked around Fort William Park and Portland Head Light. That's a lighthouse. We saw the Atlantic Ocean: waves, rocks, and ocean birds. We walked and shopped in Freeport. We ate in good restaurants in Lewiston. She played the piano and toured my workplaces. We went to an art gallery opening. She leaves tomorrow, back to NYC. Since I was up and restless I climbed a little mountain. Love the peace & quiet, the 360 degree views. Walked around a pond with ducks. Hot sun, fresh cool air. Came home and picked a beet. Had fresh local organic free range fry up for breakfast. Sauteed onions and beet greens with boiled potato and beet, topped with a fried egg. Balloons, a mountain, a beet. What else will the day bring? Woke to a roaring whoosh. A blast of air. I knew what it was, so jumped out of bed and ran outside. Balloons. Hot air balloons. They floated over my house. The roaring whoosh was the air and flame: height adjustments. The city's balloon festival is approaching, and people are are rising. A good education provides a valuable and credible foundation for integrative practice. Hi! How's your footprint in time? I went to the beach today, the pond beach - not the ocean beach. Started clinicals early morning, worked til 3. Home, puttered in the garden, but was at the beach at 4:30. Bliss. Sun, water, and pine trees. There were maybe 10,000 people at the ocean beach on Monday- a mostly cloudy day! And about 50 at my pond today. Quiet and sparse, just the way I like it. And those 50 were mostly packing up and leaving when I got there, leaving empty expanses of sand and water. Singles and small quiet clusters of people. Wind, water, and sun. I don't know how many people were at the ocean beach on Monday, but it was a lot. We sat in lines: shoulder to shoulder, hip to hip. There were strangers in my bubble. The motel manager told me that the population in the summer is 150,000. So it was bliss at the pond. Big bubble, sun, and loons too. I got in the water and felt the hot sun on my back, the cold water swirling around my knees. Then a family arrived. Three teen or pre-teen boys with floaty toys. Oh no, was my peace shattered? Au contraire. I took great pleasure in their company. They were kind, playful, witty, and happy. They interacted joyfully. One brother appeared to have Down syndrome. So what? So maybe he taught his brothers compassion. I don't know. How would I know? Anyway. I never talk to strangers. Wait, I talk to strangers all the time. Yes, for my job. When I'm off and off exploring or at the beach, in public, I never talk to strangers. Felt oddly compelled to speak to these people. Groan. How embarrassing. "Hi, I'm a mother of sons and a teacher and I've worked at a teen camp and I just want to say that your boys are sweet and wonderful and so amazing and it's obviously great parenting." He looked surprised and said, "Really? We were so sure we were bothering you. It was all quiet and then we came and they are so noisy and they splash around." I probably repeated my first statement. Then I walked up towards my car and said the same thing to the mom. She said the same thing as her husband. That's my footprint in the sand for today.